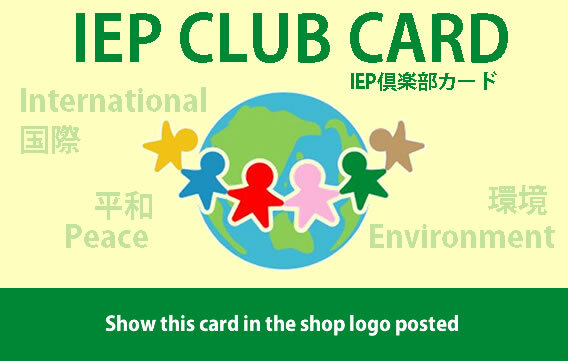 IEP club is a card available free. You can recieve various privileges when you show this card in the shop of the member of IEP. Register your Email to support our activities. If you show the IEP CLUB CARD. We use SSL and you can register safely. Please contact us if you can not register. Please show the card above.You can get various offers from Our Business Members.Please make sure what provided to the business members directly.